What photo takes you right back to Switzerland? 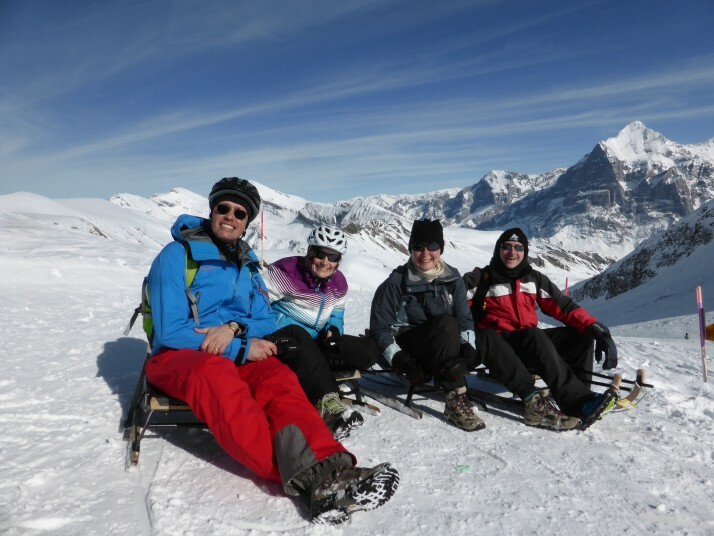 We had a lot of fun and amazing views on our day of sledging – it was a highlight for me and for Andrew. Summarise Switzerland in three words. Expensive – all that beauty and efficiency comes at a price though. Most things are eye-wateringly expensive. Fortunately for most of our stay we were hosted by our wonderful (and generous) friends Heidi and Olivier. …you see people walking through the capital city with skis over their shoulders. What one item should you definitely pack when going to Switzerland? Your outdoor gear. You’ll definitely be wanting to take advantage of all the outdoor activities. This entry was posted in Places and tagged Round Up, Switzerland on March 27, 2015 by Julie.